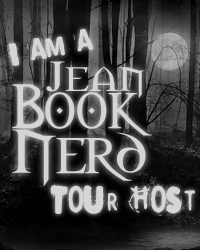 Today I have a snazzy book tour and giveaway for you! and a shocking incident that changed their lives forever. ginning of a spectacular, bright love. that even in the present, the past is everywhere. lies—the lies Ellory has been telling herself. Review: This was an odd one for me, I related to Ellory’s shyness, and the writing was excellent, but there wasn’t a whole lot going on for the first quarter or so of the book. But I never actually felt bored, in fact I was so riveted that I kept reading which is not often for me when reading contemporary. There’s just something about the book that kept my attention and compelled me to keep turning the pages. I liked the unreliable narrator thing going on, since the book was told in Ellory’s perspective you don’t quite get the whole truth since she’s not even telling herself the truth. Most of the book was contemporary but as you get to the last quarter it turns into a thriller and the revelations blew my mind! They made the time jumps, Ellory’s long break from school, and her breakup make sense and upped the wow factor for me. The book was riveting and compelling, the ending was really satisfying, and I loved Miss Frick’s writing. I recommend this book! P.S. That cover is gorgeous! 1. Two Roads diverged in a yellow wood, and I-I took the one with Ret. 2. It hits me that this is exactly how I used to see Matthias’s world. An onion, endless layers. You know you’re going to end up with tears streaming down your face. But you grit your teeth. You keep peeling the layers back. 3. I told myself everything was fine. With Matthias, with my friends. I told myself the universe was thrumming along in perfect equilibrium. 4. I thought Bex and Jenni were the lemmings, but the biggest lemming was me. And Ret could see it. She saw me. And then I let her tell me who to be. 5. My entire body was a thousand tiny robin’s eggs, stitched together with invisible thread. One bump, one push, one too hard shake of my hand, and everything was going to shatter. 6. Ret was the sun and I was the moon, and I could see straight through her. 7. She’d never admit it, not even to me, but too much happiness scared her. It meant having something to lose. 8. I fought for us and it wasn’t enough. Remembering that girl–the one who believed in happily ever after–makes me want to cry or scream or disappear. 9. Two Roads diverged in a yellow wood, and I–I walked away, but I never said goodbye. It was an ending, but not the end. And Ret, I owe you that. 10. Ret. You were wild and bold and absolutely maddening. Selfish and demanding and more scared than you’d ever admit. You were adrenaline rushes and tested limits and fierce, bright light. And now we have to say goodbye. 11. But you lied to me, Ret. You thought I’d give in, like I always gave in to you. And then you went and died on me, and I couldn’t even hate you, I was so busy hating myself. 12. I will make something worthwhile out of everything we destroyed. It won’t be perfect, and it will never be enough to bring you back. But it is what I can do.